Hermon S. Major (1876-1961) owned and directed the Major Clinic in Kansas City, Missouri, from 1921-1955. This clinic, originally known as the Southwest Sanatorium, was a private psychiatric facility devoted to the treatment of alcoholics. 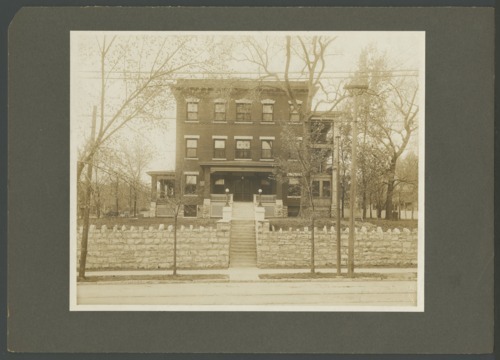 Photographs of the exterior and interior at the Simpson-Major clinic and photographs of students at the Scarritt Collegiate Institute are included. The Keeley Institute was created by Dr. Leslie Keeley in Dwight, Illinois, to cure alcoholism; this Kansas volume includes accounts from Topeka, Leavenworth, Wichita, Marysville, and Kansas City, Kansas. This collection is part of the historic psychiatry material in the Menninger Archives. These materials represent a selection of items from the Hermon S. Major papers. Access to some materials has been restricted due to potential violations of state and federal records law.